Recovering from Un-Natural Disasters is a must-read handbook for pastors and church leaders of communities who could or perhaps already have experienced an un- natural disaster, such as gun violence, suicides, or sexual abuse. 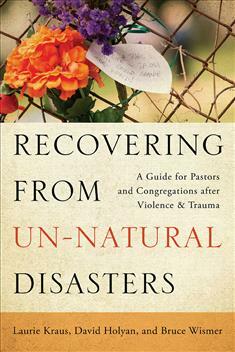 Unlike natural disasters, un-natural disasters deal with the concept of sin and require a different recovery strategy. In this book, readers will explore the four phases of human- caused disaster — Devastation and Heroism, Disillusionment, Reforming, and Wisdom — and receive step-by-step suggestions to use with their faith community during the recovery process. Example worship resources, including prayers, music suggestions, and sermons that are appropriate to use during periods of trauma and recovery, are included.